I would love to win this Motorola Roadster In-Car Speakerphone for my wife. We have a 15-month old baby girl, and I know that it would be so very helpful for her to be able to have this in her car so that she can concentrate on driving and keeping both of them safe. Thanks so much! I am an e-mail subscriber and a facebook fan as well. I love your site and read it every day. Got to win that speakerphone!!! I have a visor/speaker that the local iPhone store sold me…....everyone says I sound like I’m in outer space. I’d love to have the Motorola Roadster which would function properly. read newsletter everyday.I like it. Love to win it so please count me in! I would love to win this, hubby definitely needs this as he is on the road often! Thanks for the chance Already an email subscriber! Please enter me in the sweepstake. This will save me some tickets! Please enter me! I do need more tech tools to be a safer driver!!! I Want That Motorola Roadster!!! Awesome! My oldest son really could use this and with his birthday a couple of wks away it would make a wonderful surprise. Please enter my name in the giveaway. Thank you & have a beautiful day! I love this techy prize - it will be a great safety advantage for the many long drives. I also want to thank you for allowing me to enter this “old fashioned” way as I am not a facebook follower. Thanks for your terrific site and all you share in your great newsletters. Please enter me for this giveaway. I’d lve to promote your site by telling others I won this from you. I would love to win this gadget. What a great safety feature to use in my car. Thanks for the offer! Please enter me in the Motorola Roaster giveaway. I’d like to enter this give-away, the Motorola Roadster looks to be a lifesaver for any on the go car-pooling mom, like myself! Anything that keeps us productive and on track, is a bonus all in it’s self! Thanks!!! Crossing my fingers… Enter me! I would love to win this prize!!! I already have a bluetooth earpiece for myself, but I would I like to give this to my parents. They are not really into technology, no matter how many buys and tutorials I give them; but I would definitely want to give them something that could help them drive safely, technology or not. Thanks, Techlicious!! Count me in! This will make for a great travel buddy. It would be SO awsome to win Anything.. I could definitely put this speakerphone to good use! I love your newsletter and I’m a fan on Facebook as well. 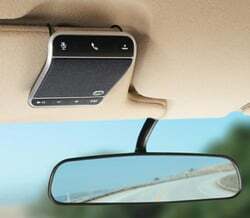 I am an email subscriber and would enjoy this Motorola In Car Speaker System! Thank you for entering me to win this contest! I already get your emails. Would really love to win this. Subscribe, and yes I would like to win. I already get your emails. Would love to win this Speakerphone! I get your emails. Would really love to win this Speakerphone. I’d like to win a Motorola Roadster! Im a subscriber to your newsletter and would like to enter this giveaway. Thanks! Thanks for having these giveaways. It gives me a chance at winning things I could never afford to buy. Also, I already subscribe to all your newsletters. Thanks. I appreciate getting all this useful info from a trusted source in language even a tech virgin could understand!! I also luv Motorola products & welcome a chance to win one! I love your website and all the very useful information. Please keep it up!!! Would like to be included in the drawing. Thank you. I’d love to win this - thanks for the chance! liked you on fb… this would be great to have. thanks for the contest!